RUNNING OUT OF GAS RUNNING OUT OF GAS – (Addis) Fortune – The Largest English Weekly in Ethiopia! Long queues, hours of waiting and flared tempers greeted this Ethiopian holiday season as benzene shortages gripped the capital. Although short lived, the shortage spanned long stories of barricaded roads that stranded oil tankers on cross-country roads, and tales of underground fuel tanks that mysteriously emptied their contents overnight. 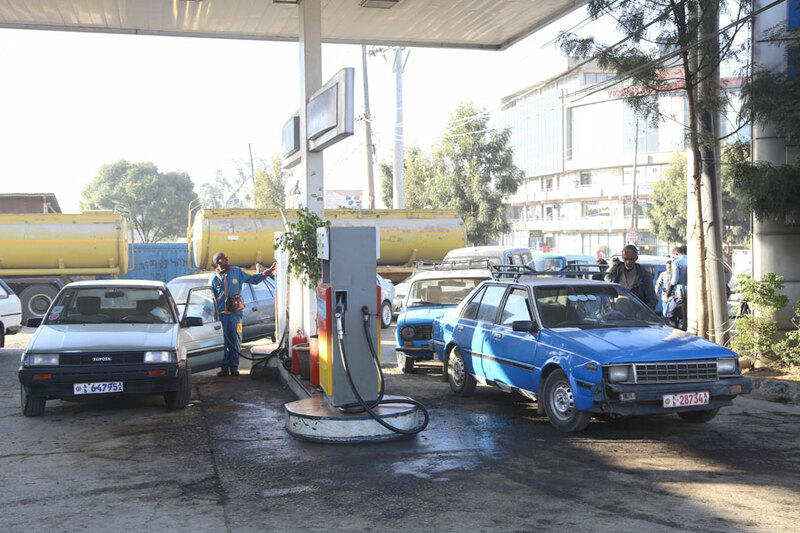 In a sign of the return of normalcy, city officials formed an investigative committee and filling stations opened their pumps to customers, writes BERHANE HAILEMARIAM, FORTUNE STAFF WRITER. 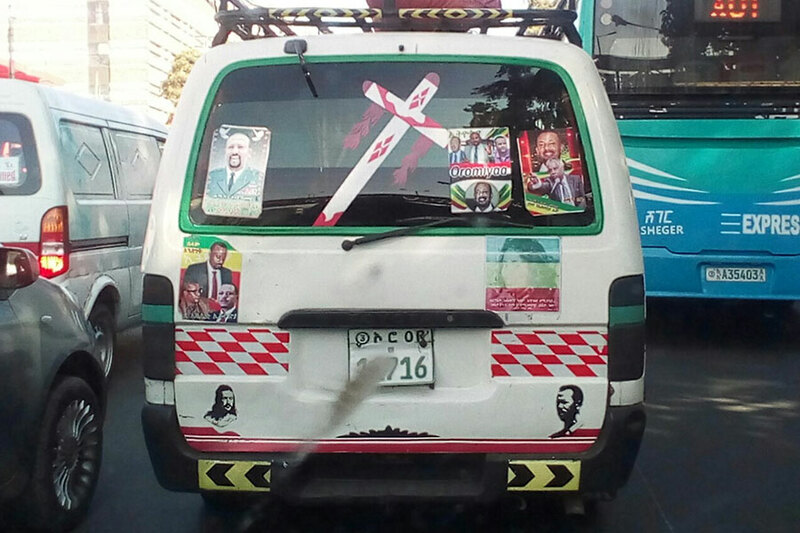 Fuel lines around gas stations, longer queues for public transport commuters and fewer vehicles on the roads characterised Addis Abeba last week. The culprit was another bout of fuel shortages that faced a city responsible for consuming 65pc of the roughly 12.42 million litres of fuel the nation uses daily. It almost brought motor transportation to its knees, frustrating the city administration, driving cab rates higher, delaying services and driving black market rates for benzene to 80 Br a litre from the government mandated price of 19.69 Br. Fuel lines around gas stations, longer queues for public transport commuters and fewer vehicles on the roads characterised Addis Abeba last week. The shortage of benzene in the city had been creeping up since last Sunday, January 12, 2018, and reached its lowest level on Tuesday and Wednesday to the frustration of commuters, taxis and vehicle delivery businesses. Queues at some of the 120 filling stations in the city selling benzene were hundreds of metres long, and the wait was for hours. Emotions ran high in the hot weather between attendants and customers as limits were set on the number of litres that could be purchased at a time. Drivers who waited the whole day were seen turned down after the stations ran out of supplies. The cause of the shortages are blocked main roads by locals in the regional states who erected road barriers preventing oil tankers from conveying the fuel from neighbouring Djibouti and Sudan, the routes through which the nation’s fuel is transported, according to the Ethiopian Petroleum Supply Enterprise. Industry insiders disagree, however. They consider the local actions incidental and an exacerbating factor that pushed an already poor distribution and reserve system to the brink. Low storage levels at fuel depots in Djibouti, too few and substandard fuel stations in Addis Abeba, a lack of depots and the illegal trade of benzene were raised as the main factors during an emergency meeting held by Deputy Mayor Takele Uma on January 16, 2018. The meeting led to the formation of a task force to specifically address the illicit fuel market in the city. The shortage began to gradually ease on Thursday as most fuel stations were supplied overnight, although long queues were still persistent in parts of the city. PLEASE SEE THE FULL AGENDA PIECE HERE. You can read the full story here .